On a Tuesday afternoon in December, Richard Walker stood on the corner outside the city’s social services building and hollered. The Mobile Justice Tour (MJT) in Virginia is embarking on their 3rd fifteen-city tour calling for the overhaul of Virginia's Justice System, restoring civil and voting rights and for state-wide fair-hiring application policies for persons with a criminal record. Help R.I.H.D., Inc. to correct all unfair jury trials in Virginia. SB 250 Employment applications; inquiries regarding criminal arrests, charges, or convictions. Mobile Justice Tour, the event re-launches on Saturday, December 14, with a focus on three key issues: civil rights restoration for citizens with felony convictions, removing questions about an applicant’s criminal background from initial employment forms, and sentencing reform to end mass incarceration in Virginia. The Mobile Justice Tour, re-launches on Saturday, December 14, with a focus on three key issues: civil rights restoration for citizens with felony convictions, removing questions about an applicant’s criminal background from initial employment forms, and sentencing reform to end mass incarceration in Virginia. Hi Everyone, The MJT will be in Harrisonburg following up from our last event. Please note the Time Change to 6pm-8pm to accommodate families, friends and allies. We have so much to share with you as we continue the movement, reducing crime and reducing recidivism/re-incarceration. Help pass commonsense laws in Virginia. November, 2013 the Justice Policy Institute (JPI) published their findings regarding "Virginia' justice system is expensive, ineffective and inequitable. Despite some recent small progress the areas of post-incarceration reentry, particularly felony disenfranchisement, the state continues to suffer under misguided policies and practices of the past." New and Important Visitation Instructions. Please review and share with others. BE THE VOICE FOR THE VOICELESS. What is ban-the-box? Summary explanation of ban-the-box and listing of passed local government legislation in Virginia. The Advancement Project (AP) held a Thank You Luncheon for many of Virginia Restoration of Rights advocates. 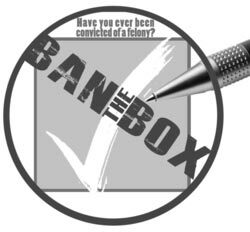 “Ban the Box” efforts across the country seek to level the playing field. Three key justice related issues we will discuss and provide on-site direct services: restoration of rights, ban-the-box employment reform, rehabilitative programs for successful prisoner reentry. Join us, bring a friend or two, the family, all invited, all welcome. "Change comes from the people, not the politicians." Be the voice for the voiceless. Two important legislative initiatives requiring public awareness and support. We need your help getting these two bills re-introduced by your district state legislation. MJT First stop Saturday, Sept. 7th Lawrenceville/Brunswick County Library - 11am to 1pm - 133 West Hicks Street - Lawrenceville VA 23868. Join Us - All Welcome - All Invited. See you then. The Mobile Justice Tour is underway in Virginia. MJT Stops in Harrisonburg, Virginia. Check out what people are saying about the tour. The MJT will advocate for other Virginia governments and private businesses to “Ban the Box” and reduce barriers that prevent our community members from finding work. 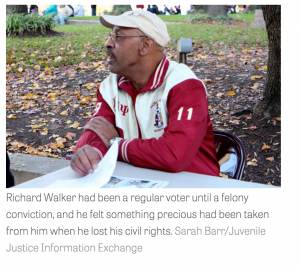 Civil Rights Groups Launch "Mobile Justice Tour" To Bring Advocacy, Awareness and Assistance on Voting Rights Restoration, Ban-the-Box and Successful Prisoner Re-entry Across Virginia - Join Us! Virginia's Director of Corrections, Harold Clark, submitted a comment to the Federal Communications Commission in favor of the reduction in commissions and/or charges related to prison phone calls. 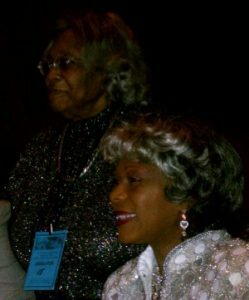 Host Gloria Taylor Edwards & C0-Host Shirley T. Burke on WCLM 1450 AM. Guest commentators Terry Dysick, of Guidance, Inc and Keith Wm. DeBlasio, of Smart on Crime Solutions. The topic: The U.S.Incarceration Issues/The Business of Incarceration. 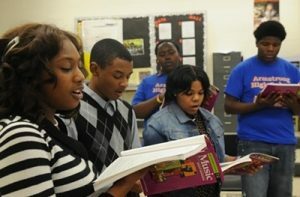 THE ARMSTRONG HIGH SCHOOL CHOIR CAN ONLY SING AT CARNEGIE HALL MAR 1-4 IF THE COMMUNITY RALLIES AND HELPS THEM GET THERE. YOUR HELP IS NEEDED!! Activists are invited to witness oral arguments on the restoration of voting rights in Virginia as they are argued in a lawsuit brought by civil and Human Rights Activist, Sa’ad El-Amin, in federal court. Keep track of restorative legislation for positive criminal justice reform in Virginia as the 2013 General Assembly Session moves forward. This project is designed to help states tap the best research and information available to put a fiscal lens to sentencing and corrections policy options and reforms. A recent report by JFA Institute in Washington, DC casts new light on Virginia's criminal justice policy. Learn about the use of solitary confinement in Virginia at the Arlington Central Library, 1015 N. Quincy St., Arlington, VA 22201, from 7 to 8:30 pm on Monday, December 3, 2012. 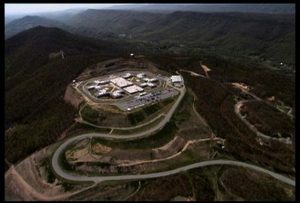 Families Report Deplorable Conditions at Virginia’s Central Virginia Correctional Unit #13, a Field Unit for Virginia’s Incarcerated Women. A personal essay by Mike Thurmond. Filmed and edited by Tenzin Samphel. Music by Mos Def and Philip Glass. A man calls in his brother's story in Virginia. A long sentence and no hope of parole. 2013 GENERAL ASSEMBLY - “R” WE READY YET? Good bills coming up tomorrow afternoon. IN FISCAL YEAR 2010, the Virginia Department of Corrections (DOC) had $712.4 million in prison expenditures. Last week we walked the halls and met with our individual district state legislators and/or legislative aides, expressing our support for the Community Restoration Campaign's criminal justice and prison reform focus legislation. 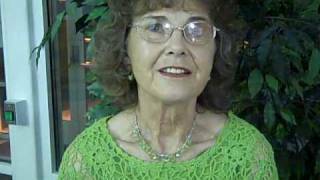 Resource Information Help for the Disadvantaged update on the Virginia campaign. 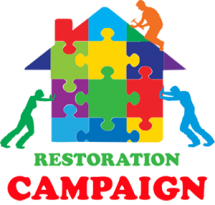 The Community Restoration Campaign is getting geared up for the coming legislation session. Get involved! We have put a photo essay below that covers travels from the holler to the hood in Virginia -- and our prison nation. SB796 will be heard this Wednesday. With your support we can move it forward. We need as many people as possible to make calls this week. With your support the Community Restoration Campaign is rolling forward and now has a bill, SB796, in front of the Rehabilitation and Social Services Committee. Amazing news! We have had several legislators sign on to support the Earned Second Chance Provision. Because of your support the Earned Second Chance Provision is moving forward in Virginia. Now we need to keep up the pressure. A poem by Jerome Paine at Red Onion State prison in Wise County, Virginia. 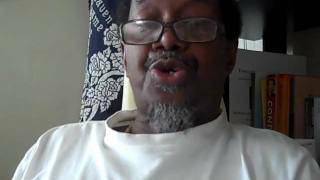 This video is an introduction of the work that I am doing in the Virginia Prison system to expose the systemic abuse of inmates at Wallens Ridge , Red Onion and Keen Mountain.